Stoke Bruerne is a small village in southern Northamptonshire, about 5 miles south of Northampton. 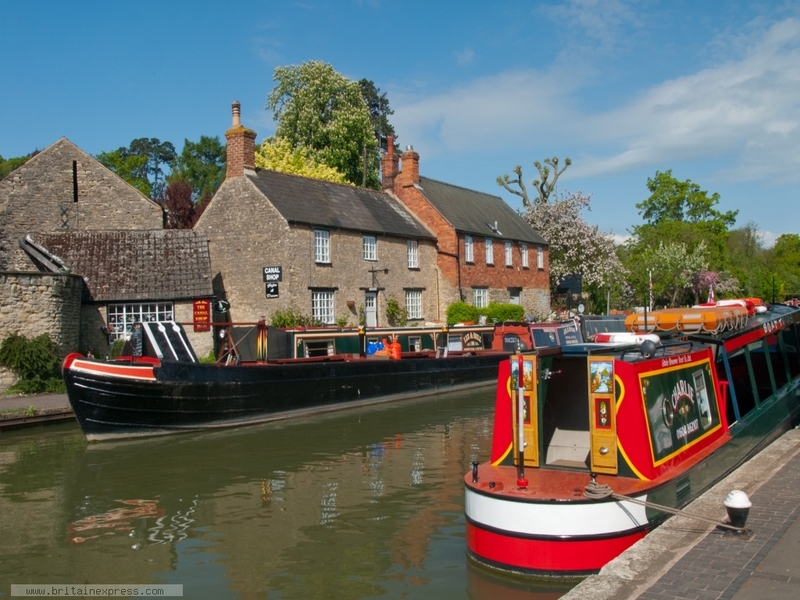 The village sits astride the Grand Union Canal, with picturesque waterway pubs and paths along the banks. One of the towpath trails leads to the famous Blisworth Tunnel, just north of the village. The story of the building of the tunnel is told at the Canal Museum, overlooking the main lock, seen here.